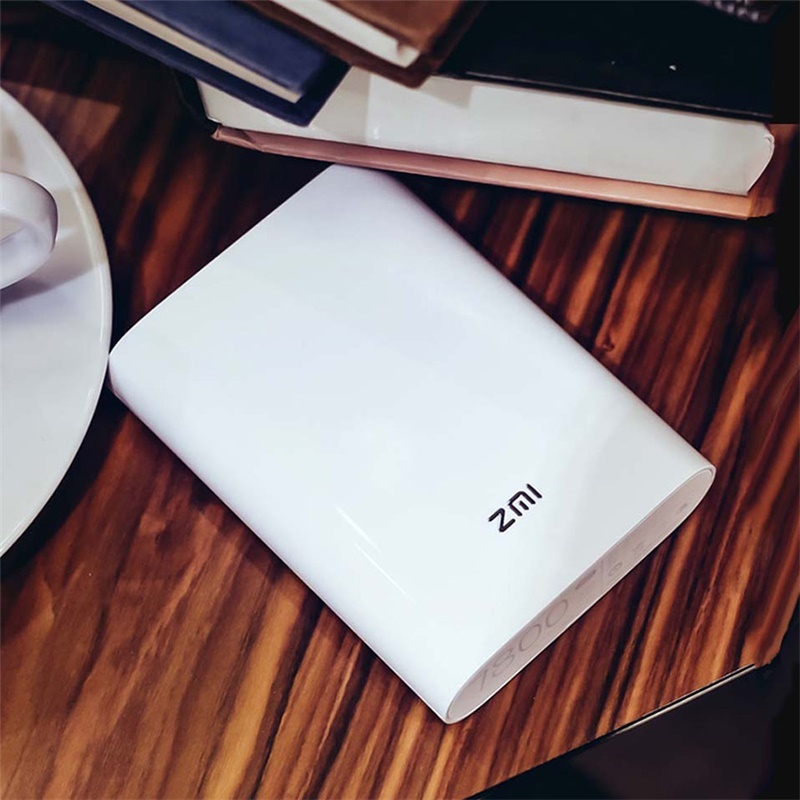 The Xiaomi ZMI MF855 router power bank with a capacity of 7800mAh works primarily like any other power bank. Simply charge it at home, connect the cable and the charging device on the go. It also supports to insert SIM card and connects to the mobile internet, the connection then spreads as a regular WiFi network, such as a laptop, tablet, or mobile phone. It can handle up to nine connected devices and can operate without power for more than 50 hours. This is a portable hotspot that is on the one hand connected to the mobile Internet, on the other hand, shares this connection as a WiFi router supporting 802.11b standards. Built-in 7800mAh big capacity Li-ion battery, can work continuously for 50 hours, and can be used as a power bank to charge your digital devices with ease. Supports 4G FDD-LTE/TDD-LTE, 3G WCDMA, the download speed up to 120Mbps, and upload speed up to 50Mbps, brings you free internet experience. Proprietary APP, support for client management such as smartphones, tablets, etc., query traffic reminder, remaining power and other functions. Supports 8 built-in WiFi devices and a USB devices connected all at once, and sharing the 4G high-speed network anytime and anywhere. Adopt the power management scheme of Ti professional chip of Texas instruments, reduces the battery charging time and extends the battery life in the discharge stage, providing stable power input/output and ultra-high conversion rate for mobile power supply - up to 93%. The special output intelligent identification chip, intelligently recognizes the charging deviceand automatically adjusts the output power. It is fully compatible with mobile phones and tablets such as Xiaomi, Apple, Samsung, HTC, Microsoft, Blackberry, etc., and can also charge some digital cameras and game consoles. Adopt the world's leading high performance charge and discharge chip, not only providing 9S circuit protection, ensuring the safety using status, still can improve the efficiency of charging and discharging.